Just wanted to bring your attention to a few sale items before they are all gone! You will see some of them in the next few weeks modeled by the Directrice (that’s me) and others I just admire. 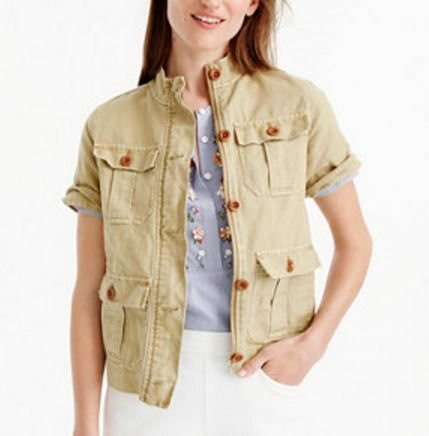 This top and jacket are on final sale at JCrew, which means they are marked way down, but cannot be returned. They both run large. As a point of reference, I bought the top in a size 0 and the jacket in a XXS — and I usually am a size 4 or XS/S. 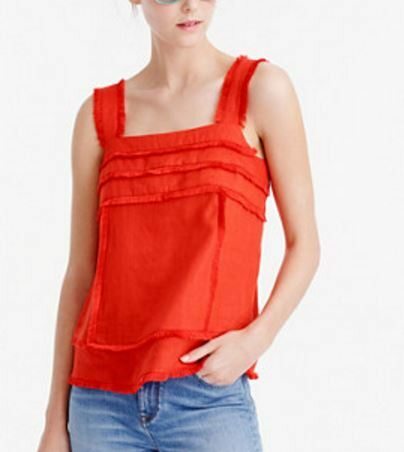 You could probably call JCrew customer service to request the measurements of these particular items. Consider wearing both with a belt. A genius colleague sent me a link to these sandals, seeking an opinion on choice of color. How well she knows me. Aren’t they fantastic? They are marked down from madness to splurge. Limited sizes left now, so do not tarry if your interest has been piqued. Here is a less extreme version, but note the thin white sole. Marked down from extravagant to realm of reason. And one last item, which is not on sale, but is reasonably priced to start and selling out quickly because it is very charming. A friend sent me this link, too. How lucky I am to have friends watching the horizon and sending me intel. This dress also runs very large. A size 0 fit me, when I normally wear a size 4. Always thinking of us. Thank you! Oh, how I adore a sale-shopping post! Thanks for the sizing guidance.